The La Breva winds have created ideal conditions for water sports enthusiasts in Domaso, Italy. 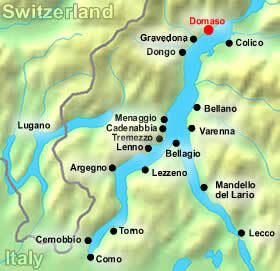 Domaso is the hot-spot of Lake Como’s northern end. Young people abound as numerous watersport opportunities such as windsurfing, swimming, sailing, fishing unite with great nightclubs, restaurants and bars and the town remains vibrant all throughout the day and night.